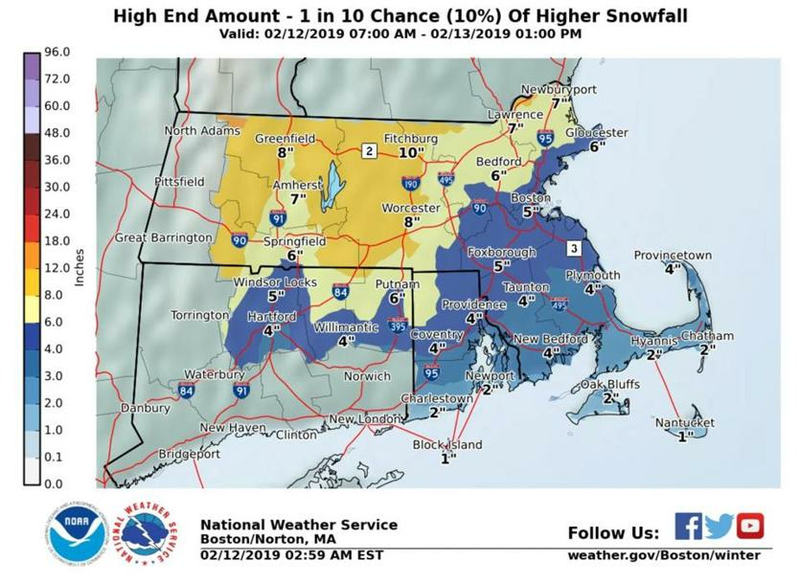 These maps show how much snow to expect in Mass. 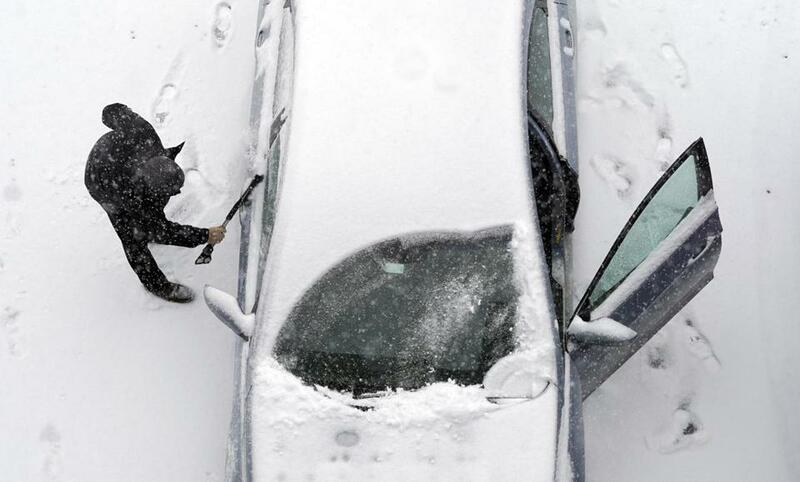 A man cleaned off his car on McKay Street in Pittsfield on Tuesday. A storm arrived in Greater Boston with a burst of wintry weather Tuesday, bringing snow and freezing rain in the afternoon and clogging roads during the evening commute. The timing of the storm’s arrival varied from west to east, with towns near Massachusetts’ border with New York receiving flakes as early as 11 a.m. 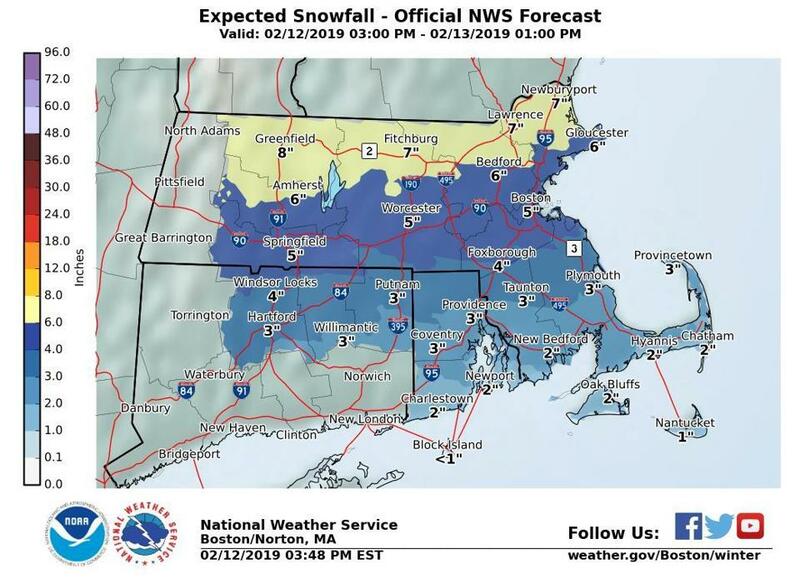 Snow was forecast to begin to fall closer to 3 p.m. in communities north of Boston, according to the National Weather Service. 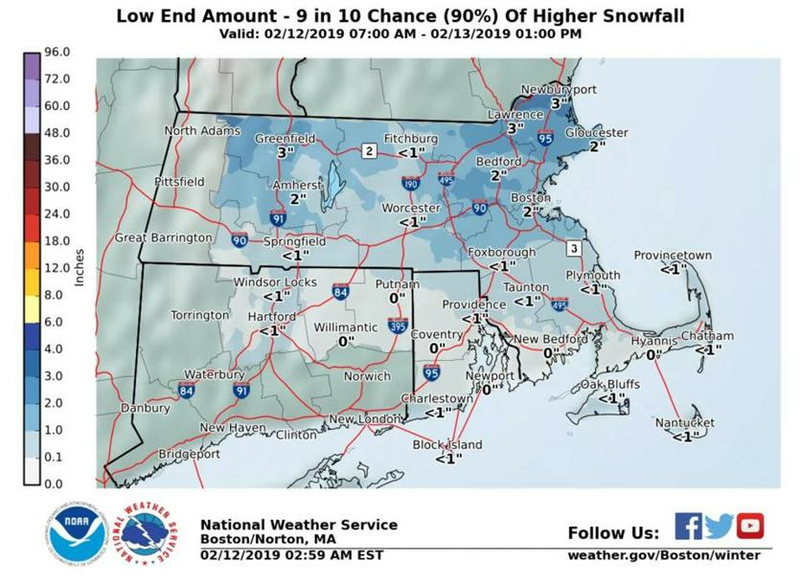 Forecasters expected flakes to be falling across Massachusetts by midafternoon, and the white stuff should come down at a steady rate once it starts. 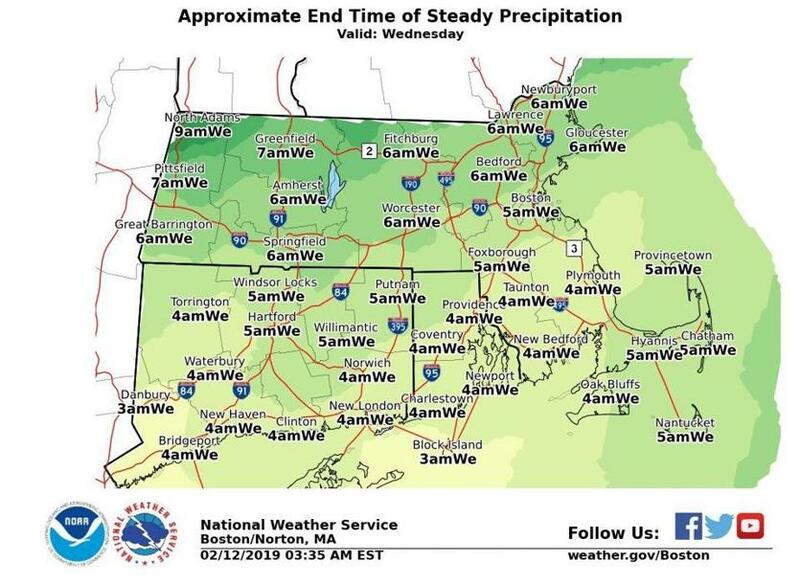 That precipitation should hold steady through the evening commute, creating hazardous travel conditions, the weather service warned. The wintry mix won’t let up until after sunset, transitioning into rain in a pattern running roughly south to north. Areas north of Boston and into southern New Hampshire may still receive flakes as late as 10 p.m., while those communities in Western Mass. that saw snow first will be the first to see it depart, forecasters said. Most of Greater Boston can expect 4-7 inches of snow over the course of the storm, the weather service said. 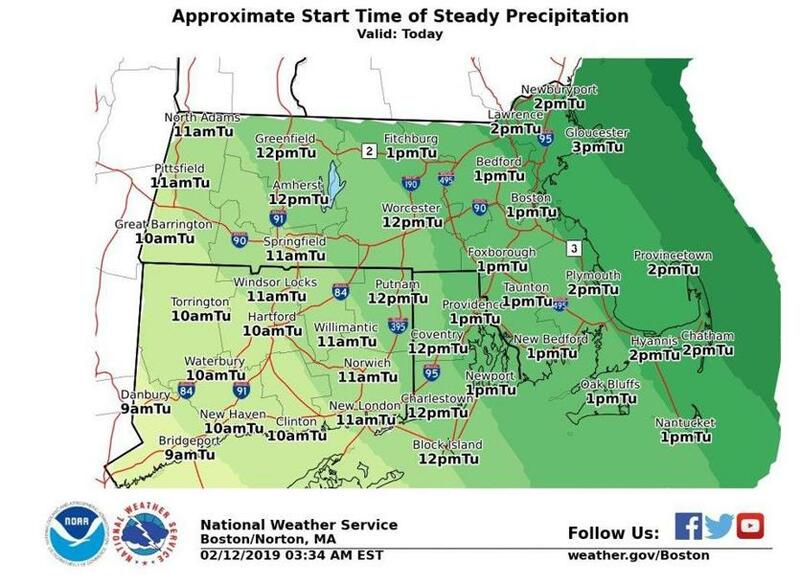 But, if temperatures drop and the snow’s transition to rain and sleet is delayed, towns north and west of 495 could see a bump in accumulation, with up to 10 inches possible in Fitchburg, up to 8 inches in Worcester, and nearly a foot in North Adams. Such a bump is unlikely to affect Boston and the South Shore drastically, increasing snowfall predictions by not more than an inch. And there is still a slim chance that things peter out, the air remains warm, and most precipitation falls as rain or sleet. Under those circumstances, Boston could see 2 inches tops and parts of the South Shore and Central Mass. may not even get an inch.